The waiting room can be a stressful place when queueing for a Blood Test – even for adults. When children attend, this experience can be compounded by the infectious nature of that stress and the more people that are present, the higher the tension. 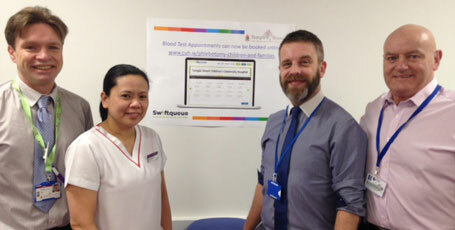 Temple Street Children’s University Hospital introduced Swiftqueues’ online appointment booking for Blood Tests so that children and their families will have to spend the least amount of time possible in the Phlebotomy Clinic and take advantage of quieter, less crowded waiting environment. Literally arriving 10 minutes before their booked time to allow for Registration and Detail Verification they will be seen at their booked time. The only reason for a short delay would be the unexpected presence of an emergency case at the Clinic. So, it made absolute sense to allow parents to book a time that suited them and to ensure that the experience at the Clinic is as quick and stress-free as possible.